Administered by Hornall Brothers Music Ltd., a BMG Company. 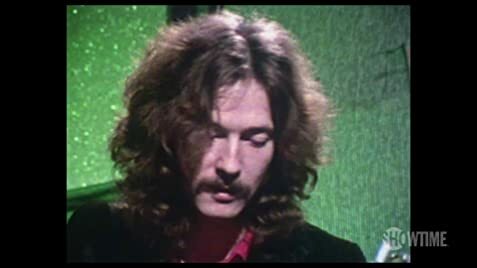 This documentary, clocking in over two hours, features Eric Clapton discussing his life and career as we get clips from various concerts and television specials. Throughout the running time we learn about how his career took shape, his friendship with George Harrison and the love affair that shaped some of his greatest songs. If you're a fan of Clapton then I'm sure you're going to already know a lot of the stories told here but the documentary is extremely well-made and there's no question that you can get some added joy out of hearing Clapton discuss these events. This includes the various high points of his life but also the low ones including the death of Jimi Hendrix as well as his son, which also led to one of his most loved songs. There's no doubt that getting the interview footage with Clapton was a major plus but the greatest aspect of this documentary is that it has a lot of really great video footage. This includes a lot of early concert footage from Clapton's time with Cream as well as some earlier projects that Clapton worked on. There's no doubt that the brilliance of Clapton as a guitarist gets to shine here and if you're not a fan then you will be after watching this. 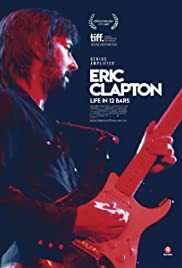 ERIC CLAPTON: LIFE IN 12 BARS takes a look at a brilliant but troubled man and I thought it was extremely fair handled and entertaining.